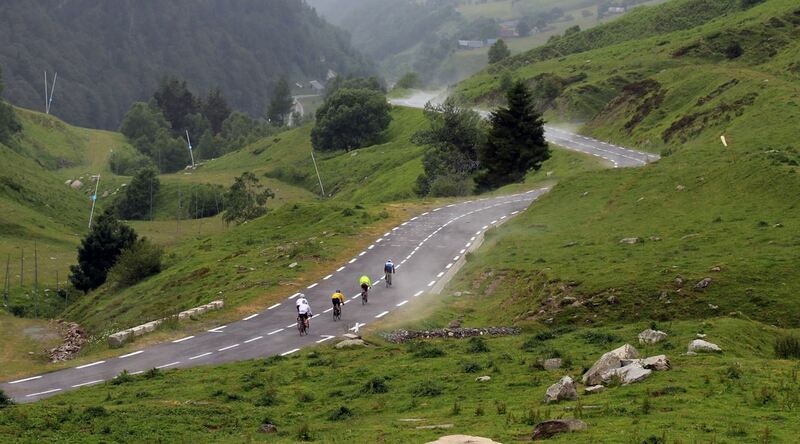 Mythical Ports of the Pyrenees on bike invites you to experience legendary cycling and discover an unknown Pyrenees. 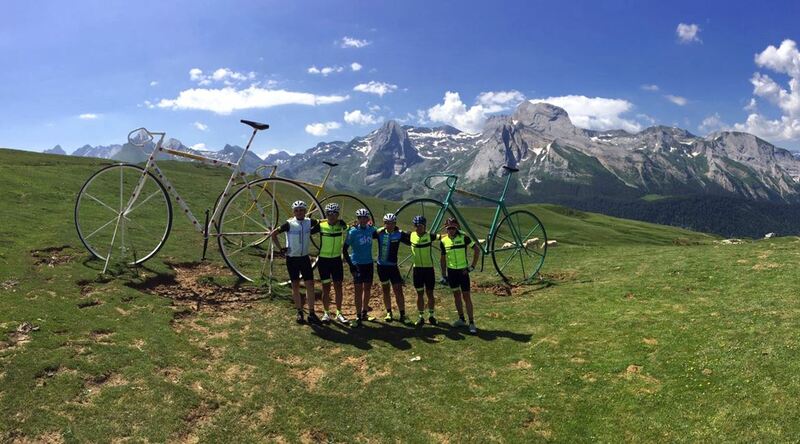 Crossing the western part of the mountain range by pedaling through the mythical mountain passes of the Tour de France such as Peyresourde, Aspin, Tourmalet or Aubisque is a dream that every cyclist wishes to fulfill one day. 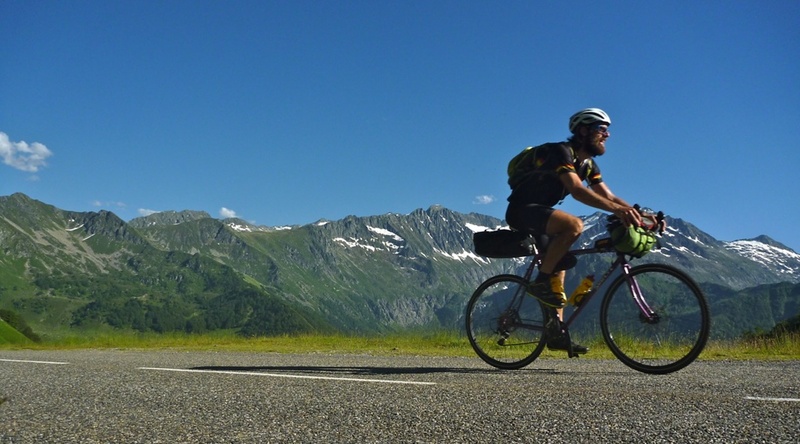 Mythical Ports of the Pyrenees on bike combines the grandeur of the most genuine cycling with the experience of the journey, which becomes a real challenge. 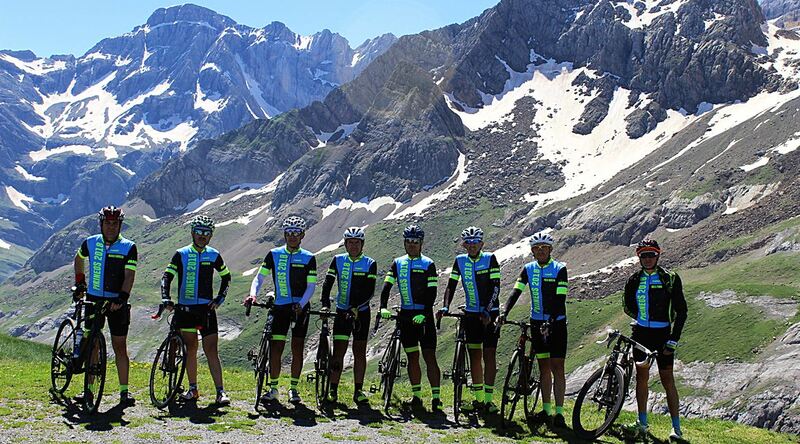 A comfortable assistance with the support of an experienced cyclist such as Sergi Fernández Tolosa who will help the group to achieve the goal. 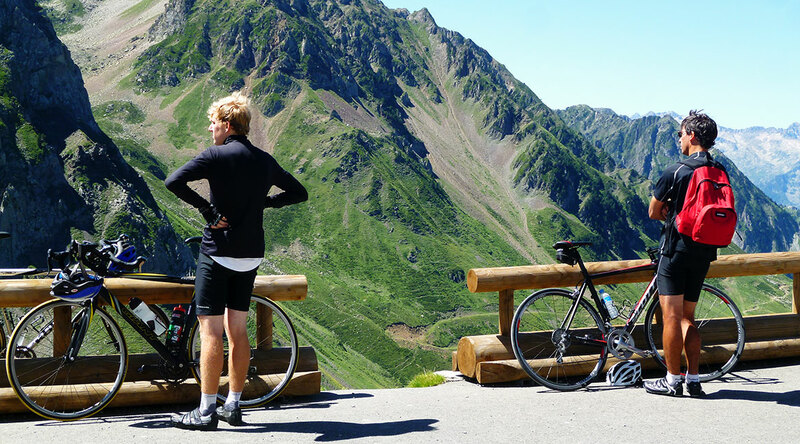 Designated as ‘Route des Cols‘ (Route of the Mountain Ports), this popular route of cycling ploughs through the French Pyrenees along more than 1.000 km in a trip that makes you feel like a true pioneer of cycling. 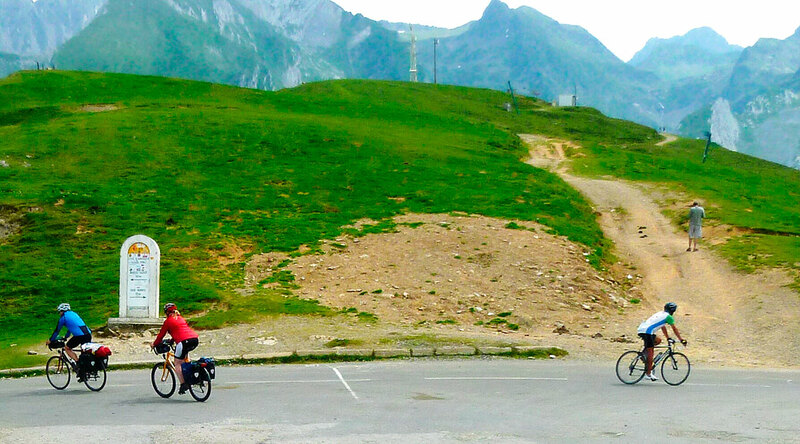 Each day we will complete a stage of between 80 and 100 km, with one or more mountain passes. We will sleep in comfortable accommodations where we will recover strength every night and we will stock up in the morning. The assistance van will transport our luggage and prepare a light picnic at noon. The van will also be used if necessary to assist the participants. Meeting point in Viella. Presentation of the members of the group and the assistance team. Setting up bicycles. Brief explanatory meeting about the details of the next day’s route and free time to stroll through the town. 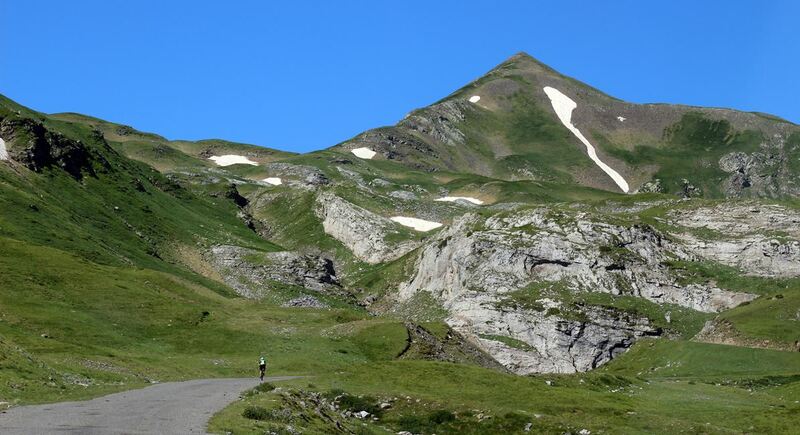 The journey through the Mythical Ports of the Pyrenees begins with a spectacular day that is ideal to test the muscles of the legs and, of course, to give pleasure to the eyes. 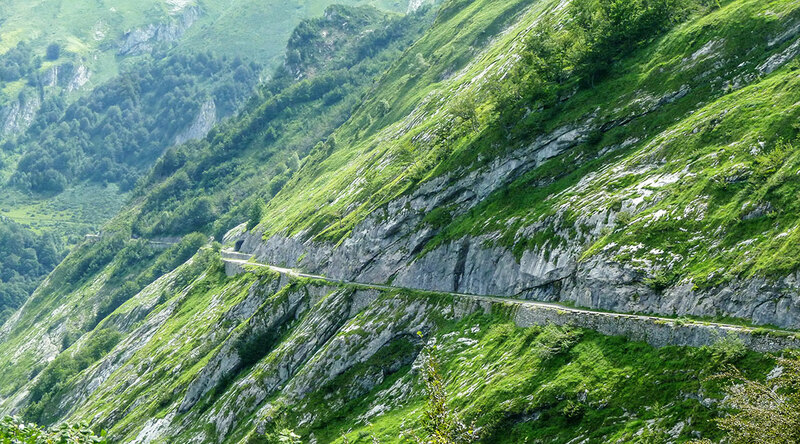 From Vielha, we will cycle along the most bucolic and quiet roads of the Val d’Aran, to cross the border by the legendary Col du Portillon, the way to the thermal town of Bagneres de Luchon. 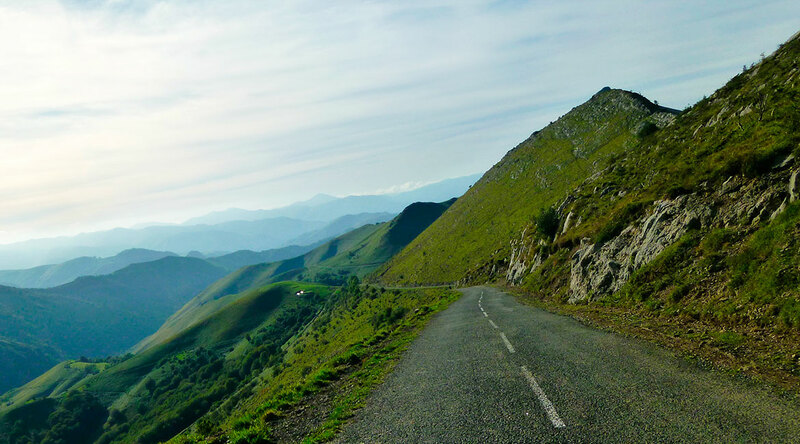 The second challenge of the day is the famous Col du Peyresourde, through which we will reach the Haut Pyrénées region, where the authentic colossi of the Pyrenees await us. 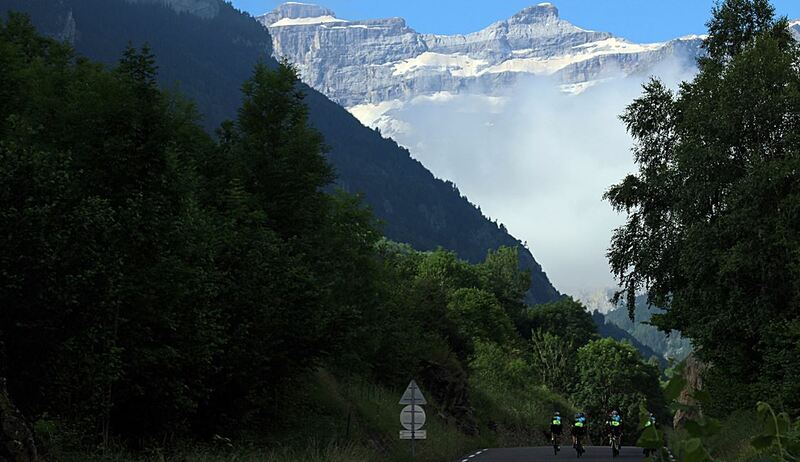 The expected date arrives with the Pyrenees greats. 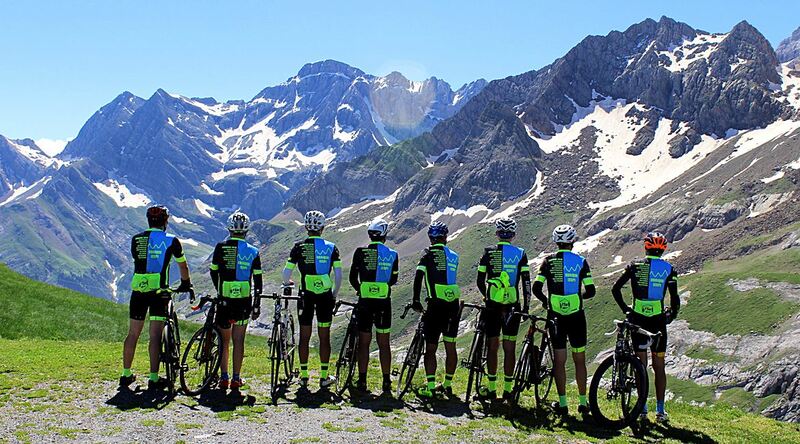 We will depart early to overcome the Aspin and link with the main dish of the day, the legendary Col du Tourmalet, a pilgrimage point for cyclists from all over the planet. 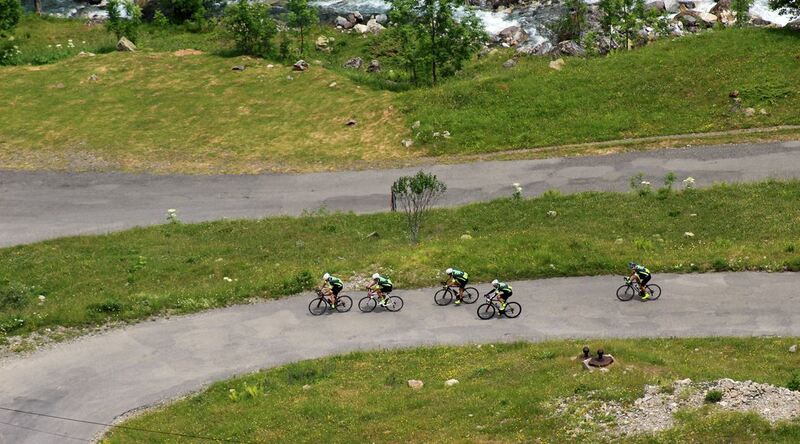 The stage concludes with a long, deserved and exciting descent. 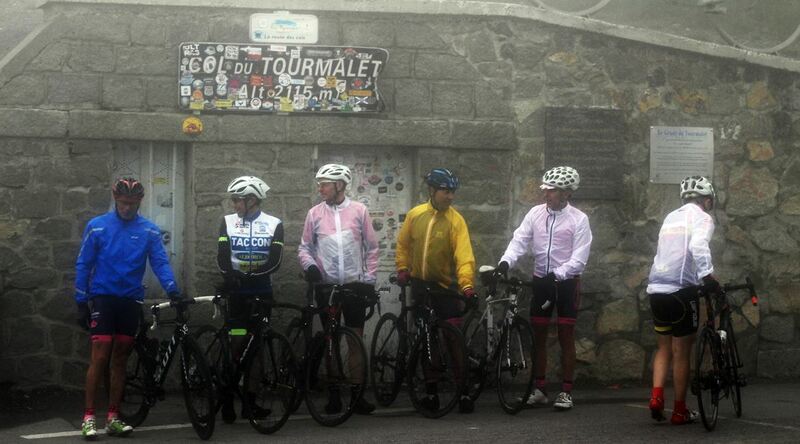 Culmination of the passage through the central Pyrenees, in one of the most beautiful stages of the whole crossing. 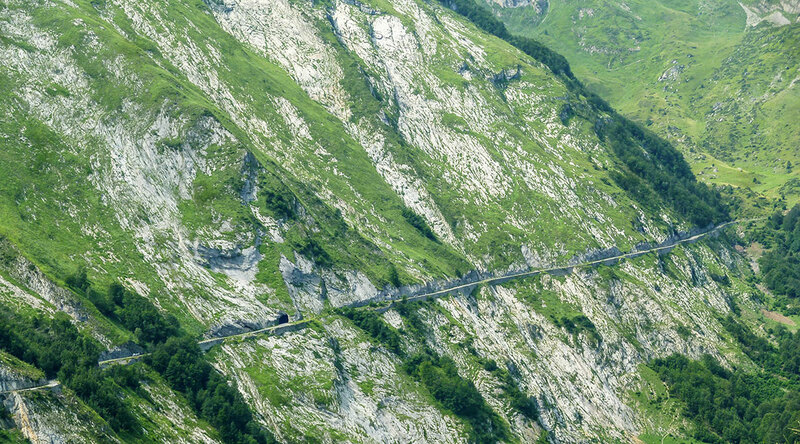 Ascension of Col du Soulor and Col d’Aubisque, enjoying the impressive stretch that connects them on high, to complete an epic journey with Col de Marie Blanque. Shortest step on the undulating terrain of rounded mountains. The ports are lower, although they still reserve a beautiful surprise, a port with great character: the Ahusquy. 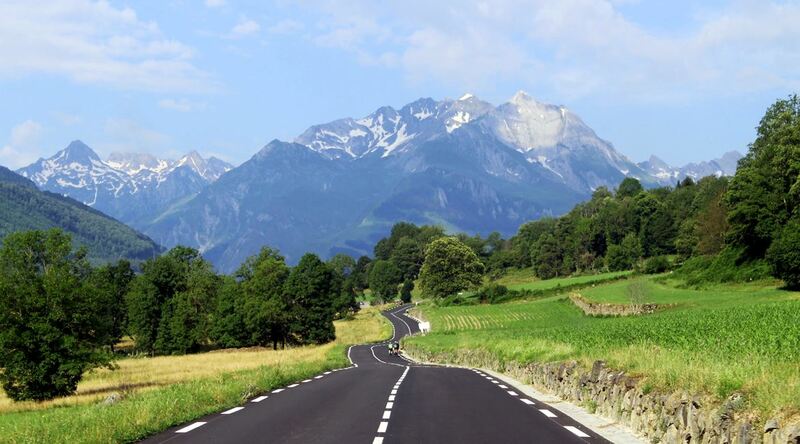 A tour to enjoy cycling on roads between leafy forests and picturesque villages. 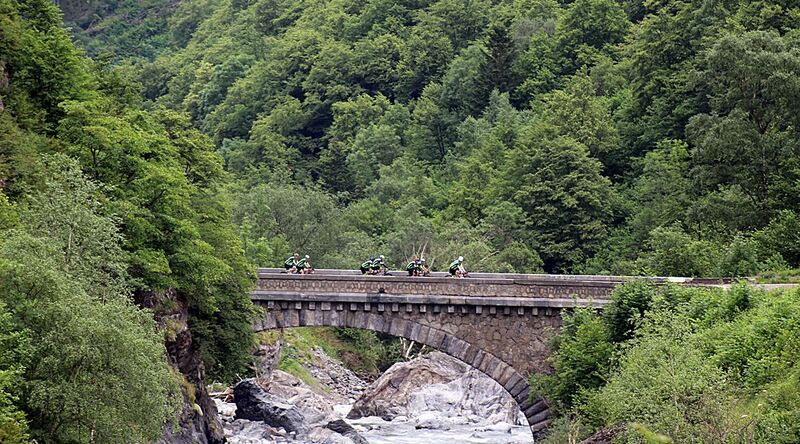 Last step, with two smaller ports through the bucolic landscape of infinite greens of French Basque Country. Award stage beginning in the strategic citadel of St Jean Pied de Port and ending at the beaches of San Jean de Luz. We will complete the crossing with a symbolic ceremony of union between the two seas. Afterwards, celebration dinner and presentation of finisher diplomas. Travel to the starting point with the selected transport. We will transport the participants to Barcelona for their return. The transport of bikes is included. 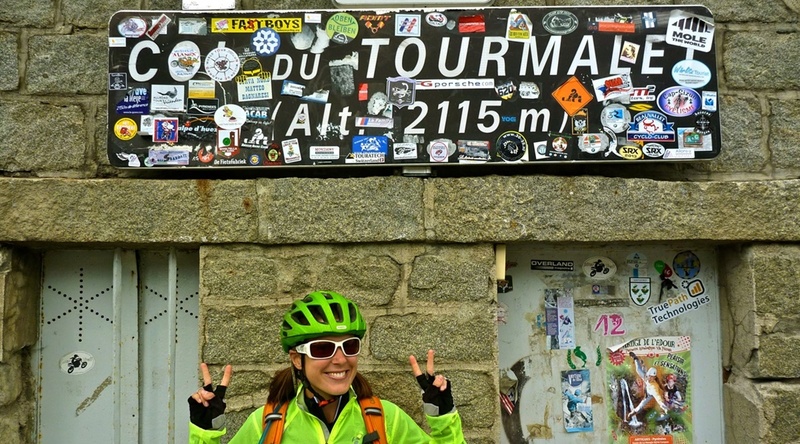 Routes designed and guided by our own Guides (with Official Guide degrees). What is included in this type of route? Pick up of participants at point of origin. Transfer of our bikes or owner’s bikes together. 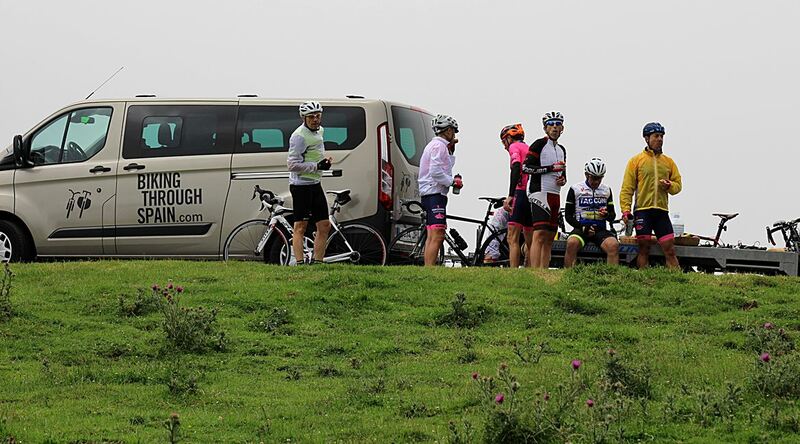 The van and assistance are available during the whole route: Driver / Guide is the assistant and accompanies on route. Picnic lunches with sandwiches, fresh fruit, juices, nuts, isotonic beverages and water. Picnic site to be determined. At end of route, transfer of participants to transport destination points. Album of photos given at end of trip. Routes designed by us but done independently by participants following the scheduled foreseen plan. We provide the tracks and also assistance with self navigation. The van and assistance are available during the whole route: Driver / Guide is the assistant. New routes designed by us at the demand of participants. In areas of our catalogue or others. Guided or self-guided. What does this type of route include? 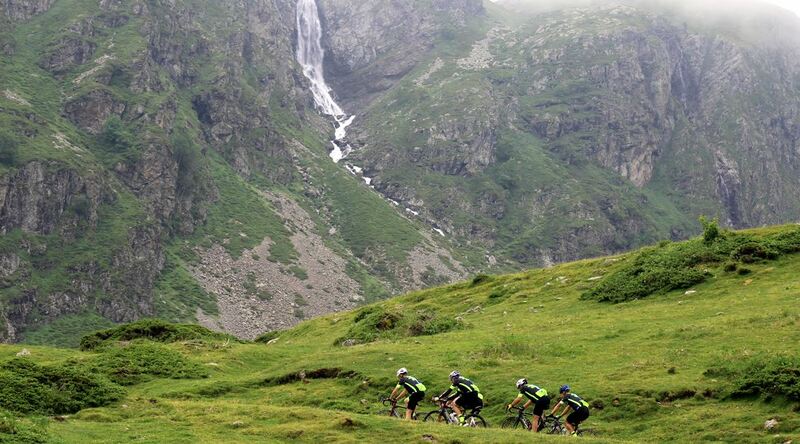 Travel organization, logistics and assistance for trips in any discipline (MTB, Cycle touring and Road Cycling). Bike spare parts and tools for assistance. * Prices include sales tax. * Prices for groups of 8 participants. For groups of fewer participants consult us. 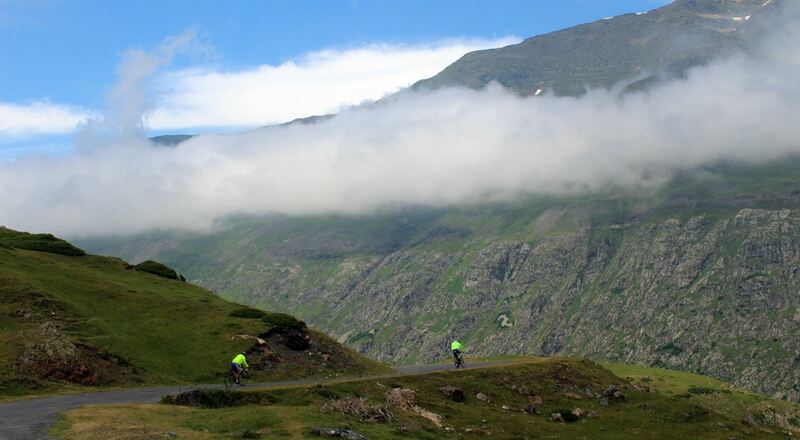 If you like this route, book it now and pedal with us! Once your petition has been received it will be answered in 24 hr. (working days). A quotation will then be sent to make the deposit payment. 30 days before your trip begins the remaining amount must be paid. Accepted forms of payment: credit card through our website, bank transfer or Paypal.